If you bought a car in the past 23 years you could be eligible to receive some cash money. It is a part of a $1 billion federal antitrust lawsuit that claims auto part suppliers were price fixing car parts in dozens of makes and models. "In many ways, this is similar to organized crime and what the mob would do," said UNLV Law Professor Benjamin Edwards. People would have to have bought a new car, leased or replaced certain car parts since 1995 to be eligible for any part of the money. But just how much money you will be owed will depend on a few factors. Edwards said people need to take into account the year they bought their car and how many parts were price fixed. Right now, 30 states including Nevada are eligible to participate in the suit. "It would be worth enough to fill out the form and collect part of the settlement," Edwards said. Edwards did suggest people not opt out of the class action lawsuit and try to litigate themselves. He said you probably won't make nearly enough money to cover attorney fees. 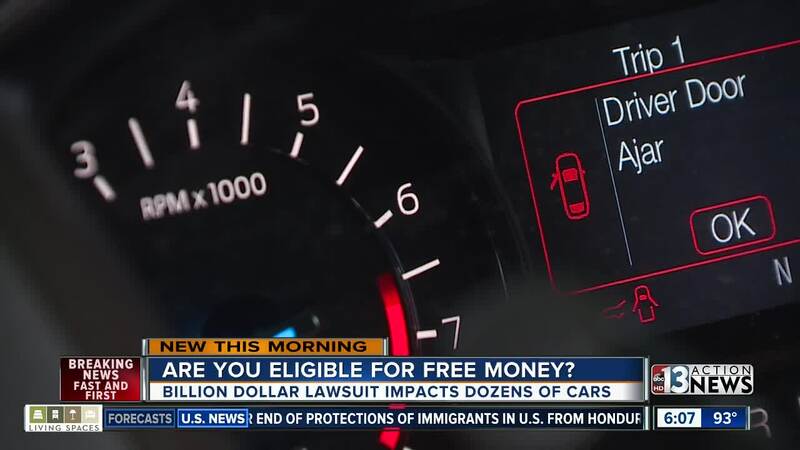 People whose cars were eligible for cash said they didn't care if they received as little as $5 because it was more about consumer rights for them. "If we're owed that money we absolutely should be getting that money," Brittany Corder said. "But of course it's going to be split I'm sure a ton of ways, even if it's a hundred bucks it's a hundred bucks." To find if your car is eligible visit www.AutoPartsClass.com .